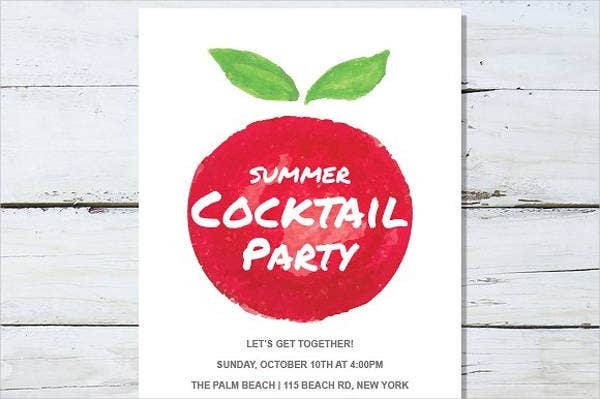 A cocktail party surely is the most convenient way of relaxing while still being able to assure that you can do your daily functions on the next work day. Moreover, it will be better if it will your day off or rest day from work the next day so you can rest after an amazing night of partying. An important thing that people always look at during these kinds of parties is the cocktail party menu where the selection of drink and food items can be seen. 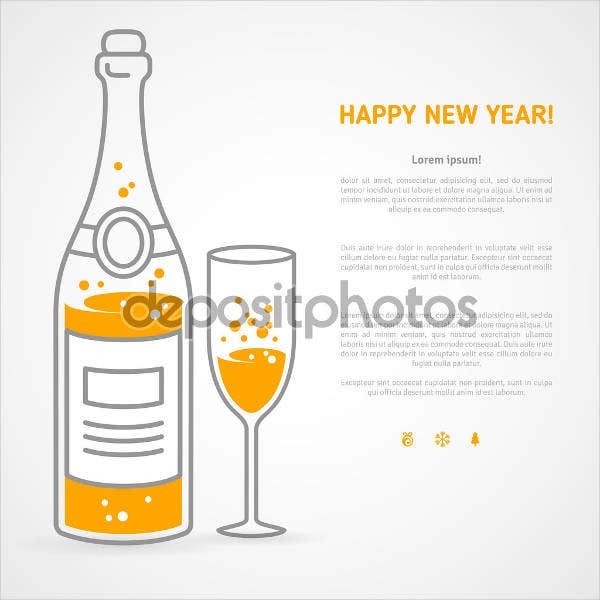 You may browse through our Elegant Menu Templates and see which of them is appropriate to be used as a cocktail party menu. People nowadays tend to look for escapes with regard to their daily activities. This does not mean that they do not want what they are doing or they want to quit their jobs already. It is simply a longing for rest, fun, and enjoyment, especially with the people who matter to them. 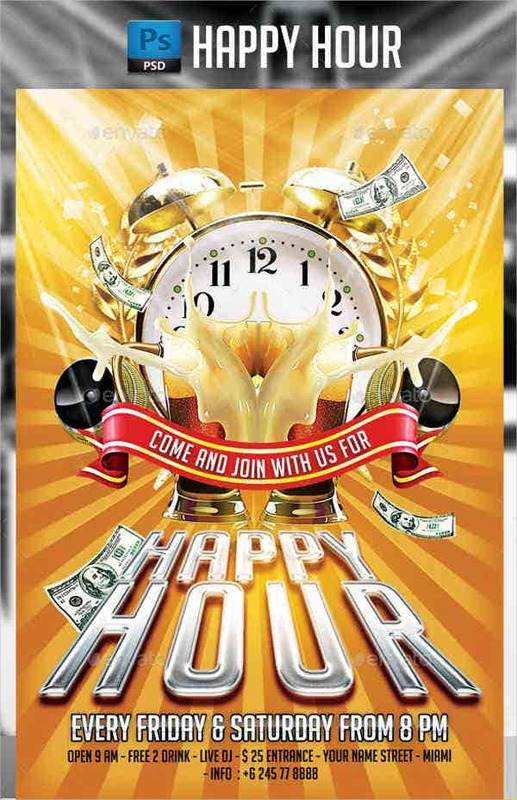 This is the primary reason why cocktail parties are very popular nowadays as it allows people to enjoy while being near the vicinity where they will do their work functions or resting activities the following day. 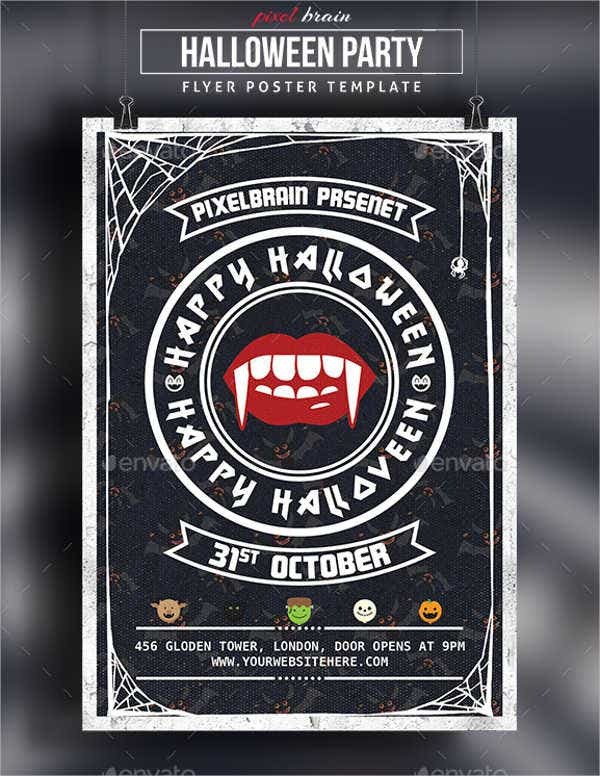 You need to assure that the theme of your party place is reflected in the menu that you are using. You may apply the same design items that you have included in your vicinity. This will allow the people to be more aware of your branding. If the nature of your business is to operate at night, make sure to veer away from the use of dark colors and too busy designs. 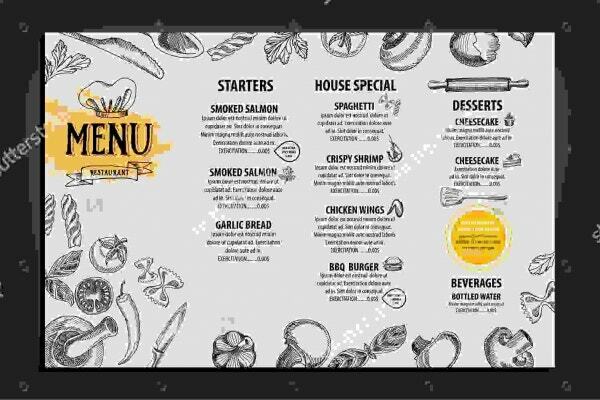 Allow your guests to see the menu selection even on low light. 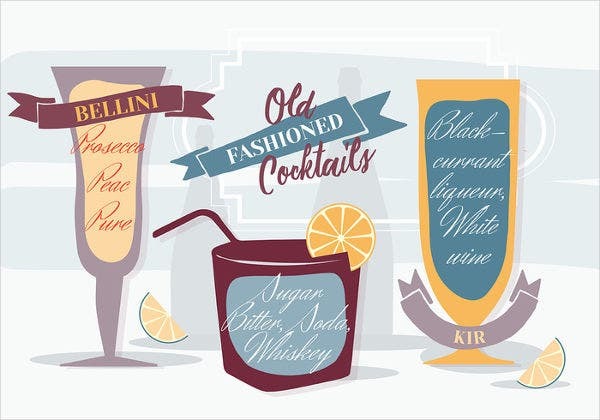 You may view our Cocktail Menu Templates to have more ideas about the designs that you may incorporate in your cocktail party menu. 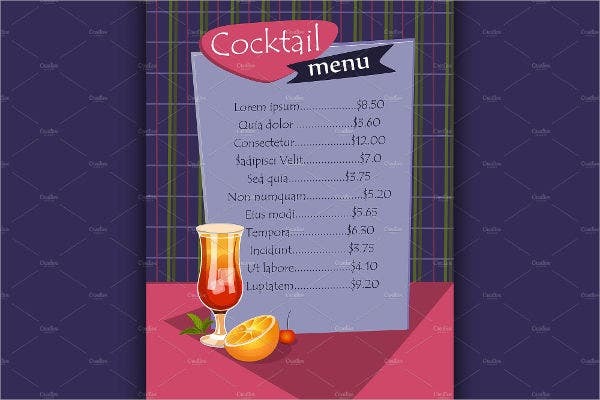 The cocktail offerings must be fully listed so that your consumers can make appropriate options base on the kind of cocktail that they want for the night. 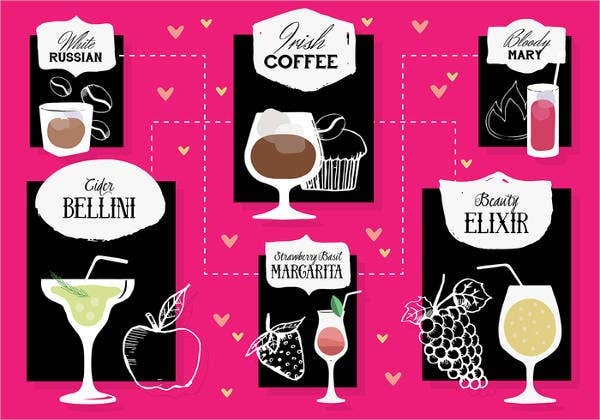 It is best for your business to include options like making your cocktails frozen or adding different syrups and ingredients to the cocktail to fully match the taste of the person ordering it. 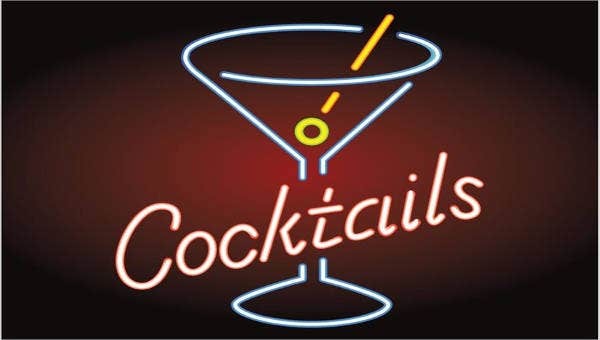 The alcohol content of the cocktails may also be added so that the consumers can control their alcohol intake and just drink the amount of alcohol that their body can handle. The pricing of the cocktails must be updated in the menu. Also, including price listings of cocktails that can be bought per glass, per carafe, per shot, or per pitcher. It all depends on the volume that your business offers. It is of most importance to have food selections that match the flavors and the variety of the cocktails that you offer. Avoid too heavy meals as it can affect the drinking consumption of your consumers. So if you want to enjoy without going too far from your place, you may opt to have a cocktail party with your friends in your apartment (with your landlord’s permission). 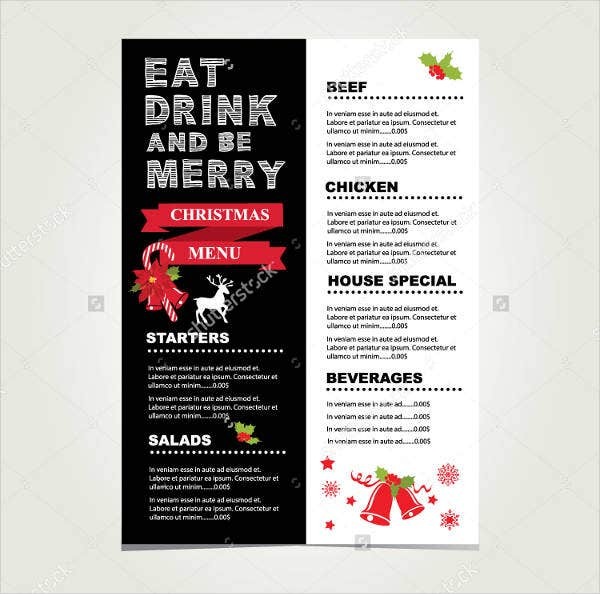 The next time you do this, look at the menu of the party area and see if they meet all the guidelines listed in this article. 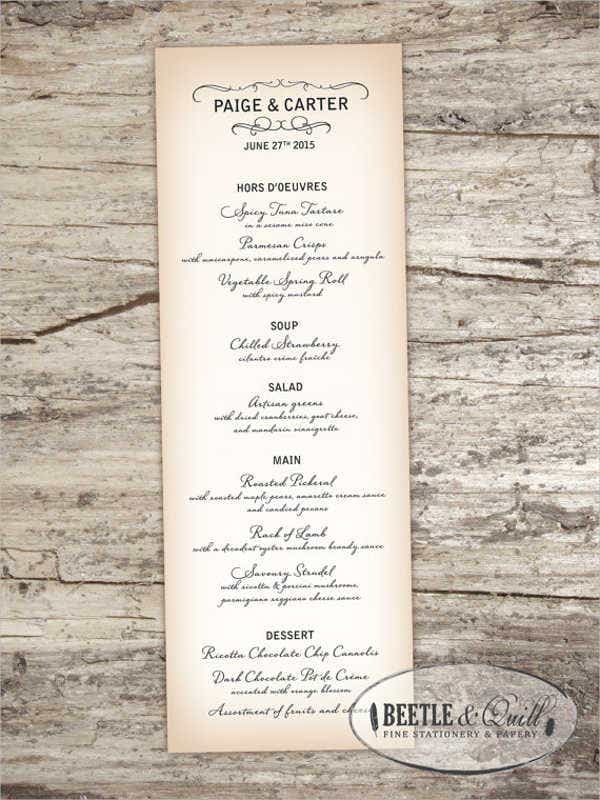 Other than our cocktail party menu templates, you may also download our Drink Menu Templates.